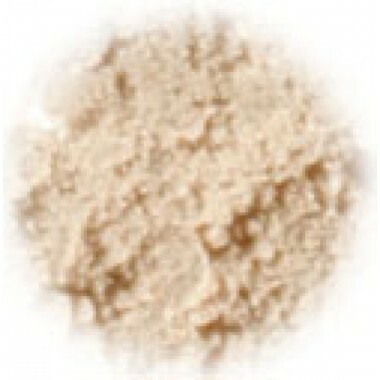 Herbs of Grace All-Natural Mineral Makeup Powder/Foundation can be used as concealer, foundation, powder and sunscreen all in one! This extremely versatile product can be applied wet or dry, with a brush or sponge to provide pure, natural coverage ranging from sheer to opaque. Designed to let your natural beauty shine through, this makeup, formulated in small batches to ensure quality and purity, contains titanium dioxide, iron oxides, mica powder and ultramarine blue. Excellent for sensitive, damaged, or acne prone skin, mineral makeup is actually good for your skin! The anti-inflammatory properties of the minerals help reduce redness and irritation. It is perfect for any skin type and tone. The light reflective minerals give your skin a dewy, healthy, youthful glow, with a very creamy, lightweight feel. This light reflective quality makes each shade suitable for a variety of skin tones. Avena is formulated to match very light skin with pink undertones.